Sometimes, in the midst of the turmoil... after a long day... way past regular bedtime... in the middle of a Peter Rabbit story... there comes a moment of pure contentment. When everything seems right in the world, and the most important things are all within your grasp. One of the things that scared me most from the time of Tony's diagnosis was the idea of being a single parent. Of course, the loss of Tony impacts my life in a thousand ways... but I'm just going to focus on this one part right now. Not too many people set out to become single parents, and it's usually an unpleasant situation that makes them one. I certainly know I am not alone, and I don't know anyone who would say that being a single parent is easy. Knowing that does make me feel a little better, but it doesn't make the job any easier. Right now, I have a lot going on. I'm organizing for the Conway Cup, I'm helping organize an event at Louise's day care, I'm on a board... and maybe I got myself in over my head. But the thing that seems to wear me down the most is parenting. I love my girls more than anything, and I can't imagine what life would be without them... but sometimes the thought of a weekend when we have nothing planned scares the daylights out of me. How am I going to survive those two unstructured days? The future is a dim and murky place and when I think about wrestling two girls through adolescence by myself... urgh. I won't even go there. I suppose some things will get easier... I won't always have to make their breakfast and wonder what disaster they are creating when they get quiet. But, other things will get harder. I filled out the paperwork and officially re-entered the working world this week. 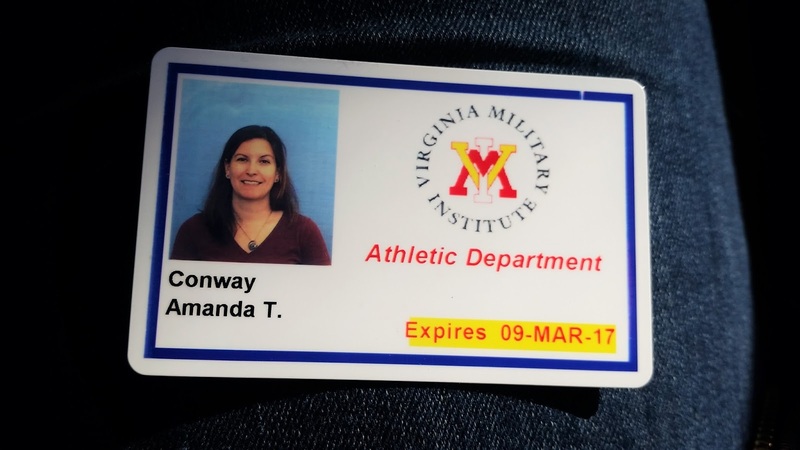 I am going to be a part-time tutor to cadet athletes (the fancy term) at VMI. First year students are loving known as "rats" at VMI, and they are required to take two semesters of world history... which is known as "rat history. "VMI is a school that focuses on engineering, and so apparently a lot of rats struggle in those classes. Now, I can swoop in to assist them! I haven't actually tutored anyone yet, but after mid-term grades come in, there might be a few requests for my help. I'm really looking forward to it. 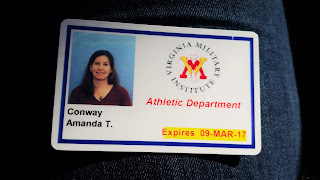 I was excited to claim that I was once again gainfully employed, and at first, I felt silly. It's just a part time job, after all, and one for which I should be very well qualified. But then I stopped to think about it for a minute. It is really a huge moment in my life. I've been unemployed for nearly three years.... three of the most important years of my life. First, it was thrilling to be hired in a job (someone actually wants me to work for them?). Second, this is a huge step for me, at least symbolically. I'm reclaiming a part of my identity... a part of me that is not a caregiver... a part of me that had to be put aside in the last years. I never understood work in that way until I gave it up, first to spend a year with Cora when she was a baby, and then to take care of Tony. Maybe it's just because teaching is such a special profession (in both good and bad ways), but it was a part of me that I missed when it was gone. Maybe I wouldn't feel the same way if I was a digger of ditches. Maybe I would still be damn proud of those ditches (look at those ditches I dug!)... I don't know. Anyway, I am embracing this moment, and being damn proud of my part time job. It's a job, and it's a step toward the future. I never could have imagined I'd have a job at VMI... you just never know what the future holds.